These attention grabbing posters are so 'COOL' with designs that are not only detailed and artistic but truly 3-dimensional and will add interest to any room, they will make awesome door and wall hangings for today's kid's. Dolphins are playful, intelligent and man's best aquatic friend. Showing 2 Cheatwell Games Royce 3D Wall & Door Poster - Dolphins**^ reviews. Average rating of Excellent. Would you like to write a review? 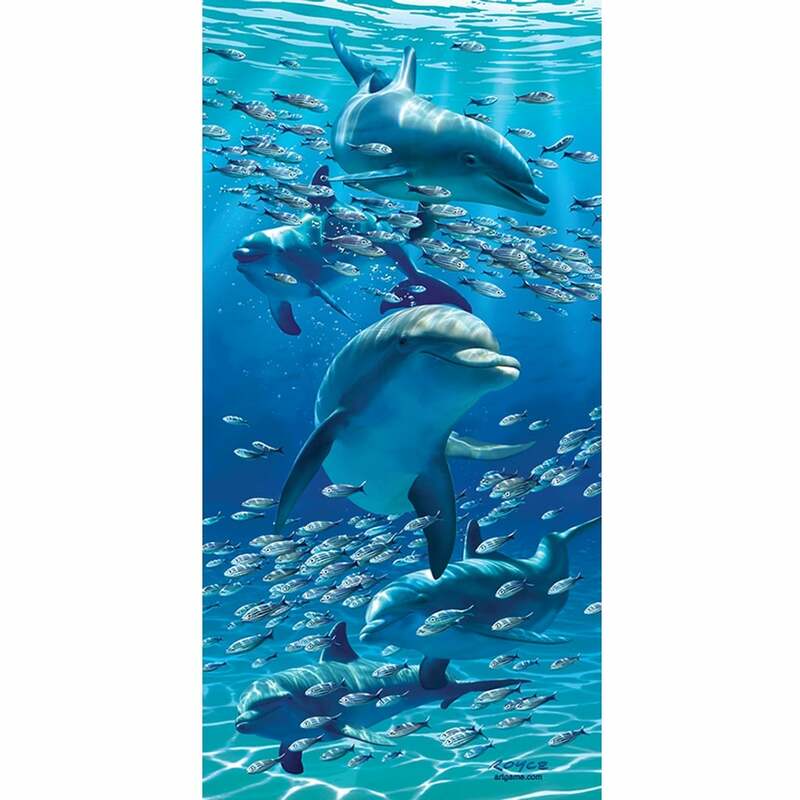 This is a phenomenal door or wall hanging that you feel like you can reach in and touch the dolphins. Lots of details in rear of picture as well. Fantastic. Brilliant Poster - my children love it.